Keeping your enamel not only intact but strong is something that you need to take a offensive approach in when you are talking about oral health. Along with making sure you have your teeth cleaned every 6 months and using preventive products there are foods that you can actually work into your diet that will help you keep your enamel strong. If you like to eat but want to help take care of your teeth partaking of these foods is a great way to do both. How to strengthen tooth enamel without fluoride, rebuild tooth enamel naturally. Dairy: This may seem like a “duh” thing but dairy really does help keep your teeth (and bones) healthy. It is not just for kids to keep in mind but everyone. Things like milk, yogurt and cheese have a lot of calcium as well as phosphorus that will help to keep the enamel on your teeth strong. 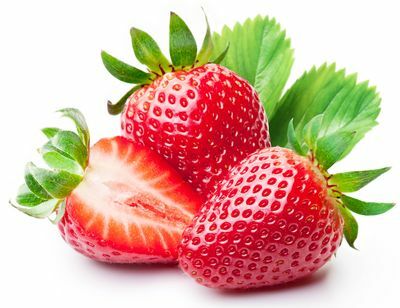 Strawberries: This may seem like one of those, “but don’t they stain?” type of things but there are a lot of things in strawberries that will help to build strong enamel. These little berries are jam packed full of vitamin C and antioxidants that help to keep a good overall health for your teeth. There is also an acid in the berries that is not harmful to teeth but will help as an abrasive to get the tartar off your teeth, which could harm the enamel. A nice fresh bowl of strawberries tastes great and helps your teeth so that is a double win. Water: Okay you always hear everyone talking about how you should drink water for your health but there are reasons for that. Besides the hydration and good skin and all of the other things water can help do it does also really help keep your teeth healthy. The fluoride in it will help strengthen enamel and the moisture and the fact that it encourages salvia will keep harmful tartar build up at bay.